The species is found in Europe, northern Africa, and western Asia. It is an extreme rarity in Britain, although it used to be widespread throughout England and Wales. Armenia is inhabited by nominate subspecies, which originally occupies deciduous forests and woodlands, but is also adapted to live in orchards, thus taking an elevation range from 500 to 2300 m a.s.l. The species uses wide variety of host plants such as Pyrus, Prunus, Salix, Ulmus, Crataegus, and others. 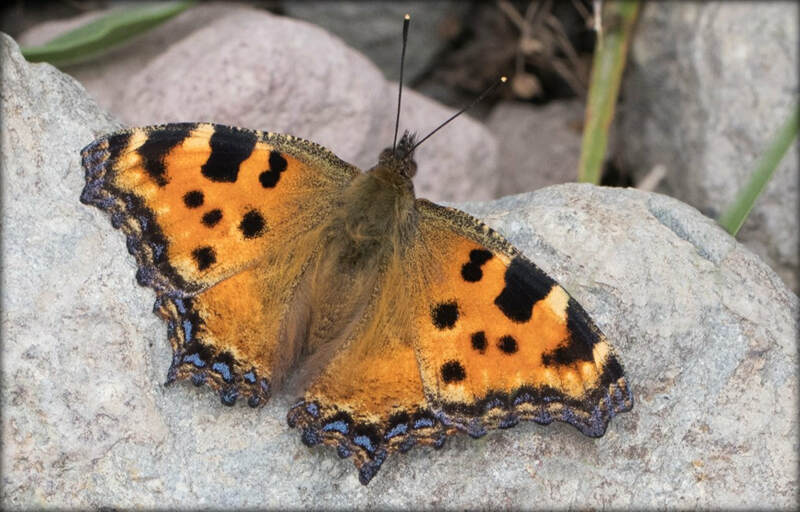 The Large Tortoiseshell gives one generation per year having butterflies hibernating. Those start flying in early to mid March and are on wing until mid May. Then the new generation hatches out from the mid June and are staying until late October, when the hibernation begins. The species is uncommon to rare within typical habitat and shows stable population trend during 2003-2013 (p>0.05), which is most probably justified by high level adaptability of the species, and low level of disturbance of the host-plants. The species is not included in the Global and National Red Lists, and also in CITES and Bern Conventions, but is assessed for European Red Book as Least Concern, the same status, which should be designated to the Large Tortoiseshell in Armenia. The current distribution range of the species is covered by number of Protected Areas and Emerald Sites, as well as by Prime Butterfly Areas, and there is no need for additional conservation measures. However the monitoring of the species remains important, as a tool of making conclusions about the species itself and its habitat.